AMD may be looking into further development of external graphics processing units, as revealed by Robert Hallock on Facebook. External Graphics Cards are not a new thing, but it was always a very niche market. 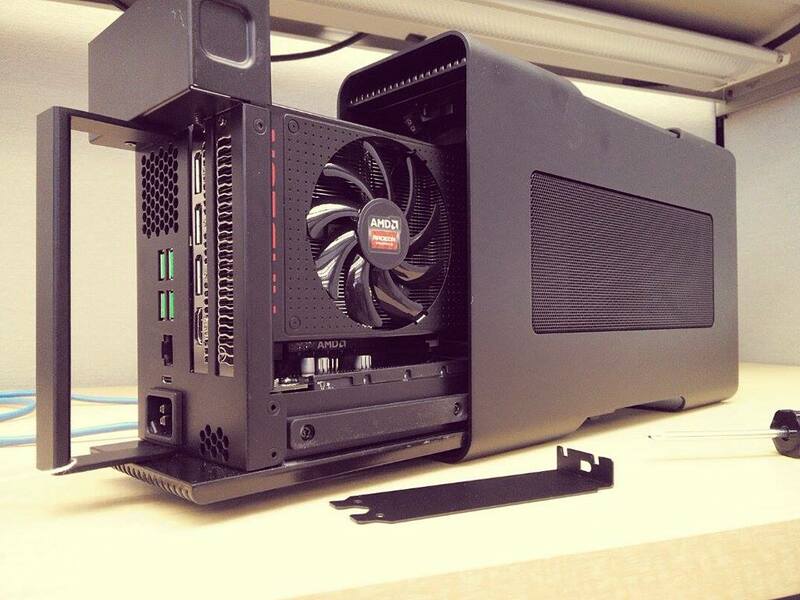 Solutions vary from Tesla Personal Supercomputers to external docking station for high-end graphics cards from MSI (Gaming Dock) or Alienware (Graphics Amplifier). 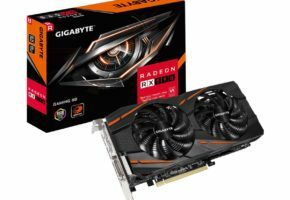 AMD is known for advocating open standards, FreeSync or GPU Open are just two recent examples. 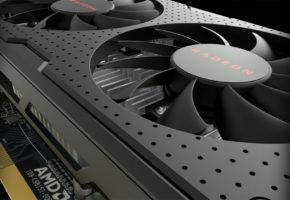 Could External GPUs be their next step to gain popularity? 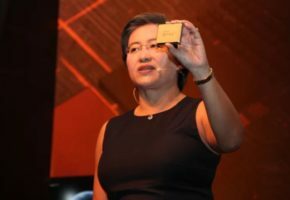 According to AMD, their solution would benefit from standardized connectors, cables and easy operating system integration with plug and play drivers. AMD is aiming at ultra-thin notebooks, which often lack necessary power for casual gaming. I’m not sure if ultra-thin notebooks are necessarily that important. 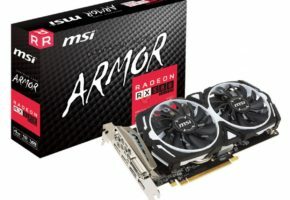 I would rather see standardized external GPU ports for mid-range laptops, which often have enough CPU power, but lack GPU horsepower due to moderate cooling solutions. My point is that when someone spends 500-1000 USD on affordable gaming notebook, he would sooner spend 300 USD on new card rather than buy completely new notebook just because his mobile graphics cards is not fast enough. On the other hand, ultra-thin notebook are not designed for games, but mobility and battery life. It’s also worth noting that such solutions already exists, and I’m not talking about those expensive solutions from MSI or Alienware, but something that is either based on mini PCI-E slot or Express-Card. 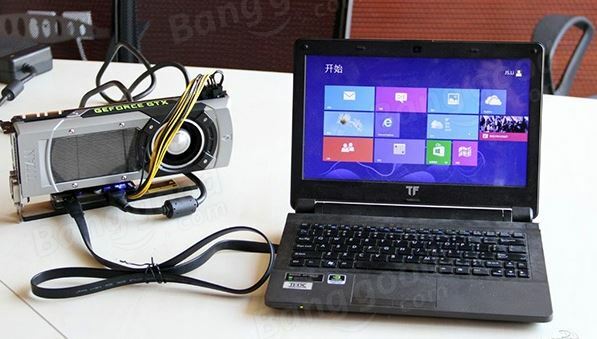 For 50 USD you can already enjoy better frame rates, but only if your notebook is compatible. Alright, let’s have some Real Talk™ about gaming on the go. Gaming notebooks are great for gaming, but nobody in their right mind wants to carry one all the time. Ultrathin notebooks are awesome to carry, but nobody in their right mind would confuse one for a gaming notebook. But there’s still a HUGE appetite for thin notebooks that can game. I also bet there’s a bunch of gamers out there who, as they get into their 30s and 40s, wouldn’t mind condensing their entire computing life down into one device that does it all. I ALSO bet that some people wouldn’t mind giving up an mITX LAN rig if their notebook had the potential to serve that role with gusto.